Sydney: It’s a summer’s day and the historic Sydney Cricket Ground is buzzing with chatter and excitement. They were in town for a recent Twenty20 international ahead of an anticipated four-Test series starting in Adelaide this week, where thousands of passionate fans, young and old, will turn up to catch a glimpse of their cricketing heroes. 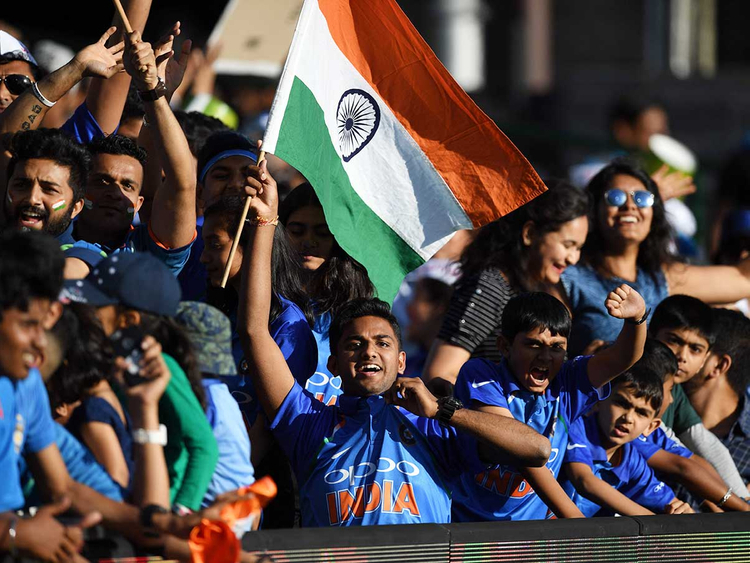 “There’s probably more Indian supporters than Australian supporters here at the grounds so yeah, it does feel like a home game wherever we go now,” fan Kartik Ayyalasomayajula said. The Sydney-based 30-year-old and his friends created the Swami Army supporter group in 2003 when he was just a teenager, and he has watched it grow to a global fan club with 60,000 members. “We love to travel around the country, the world to follow the team,” he said. It is appreciated by the team, with opener Shikhar Dhawan calling the support “tremendous” and teammate Krunal Pandya saying it “definitely” feels like playing in India. “When you have home support, the way they were cheering, it is an added advantage,” he said. Cricket was brought to India by the British in the 1700s and blossomed in the South Asian nation, said Australian sports historian Megan Ponsford. Ponsford, the grand-daughter of renowned Australian batsman Bill Ponsford, spent several years researching the team’s first cricket tour to India in 1935-36. The Australians travelled there on a “goodwill” trip to help the Indians build a team that crossed religions and cultures ahead of their upcoming England tour. The wildly popular sport has since emerged as a key unifier for the 1.25-billion strong population. “In India there are so many different languages, religions and cultures that it’s the one thing that melds everyone together,” Melbourne-based fan Angadh Oberoi said. The size of the crowds and their confidence in “Team India” is also a reflection of the country’s emergence as an economic and cricketing powerhouse, Ponsford added. A century ago, India was part of the British Empire and the English controlled cricket. Today, India is world cricket’s financial powerhouse and dominates the International Cricket Council, contributing 70 per cent of its revenues. In a meeting with Cricket Australia some years ago, Ponsford said it acknowledged that the rivalry with India was more lucrative than with traditional foes like England. “It’s important for the survival of Australian cricket that they keep on playing India,” she added. Like any major rivalry, there’s been testy times. There’s been repeated bust-ups, most recently last year in an ugly spat between then-skipper Steve Smith and Kohli. And the current blockbuster series could signal a new chapter in their relations. Smith and his deputy David Warner are serving bans over a ball-tampering scandal, and the Australians have since introduced a new code of conduct so they’re less aggressive. Meanwhile India — the No. 1 Test side — are hoping for their first-ever series win Down Under. If they do succeed, it will be a big reward for the diehard fans, whose regular chants of “we will win, we will win, India will win” in Hindi at the games will become a reality.